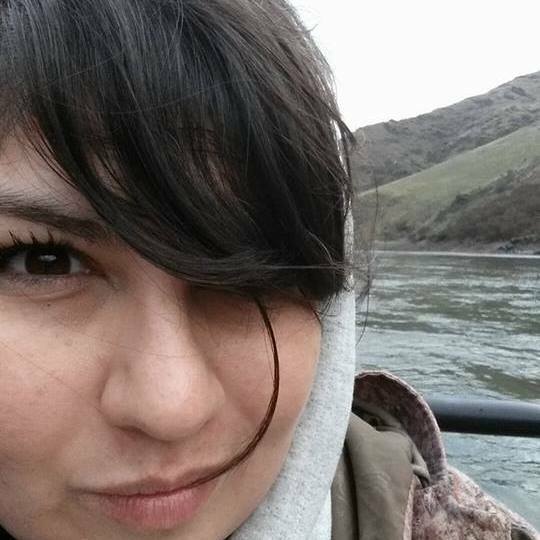 Erika Tovar was driving down the street in the small town of Caldwell, Idaho when she saw something that made her instantly pull her car over. 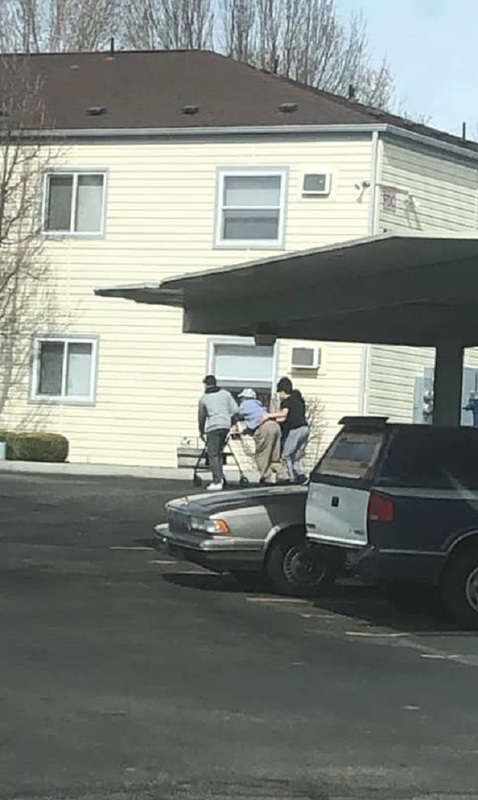 An elderly man named Jose Gomez had been making his slow way down the sidewalk when he tripped and fell. 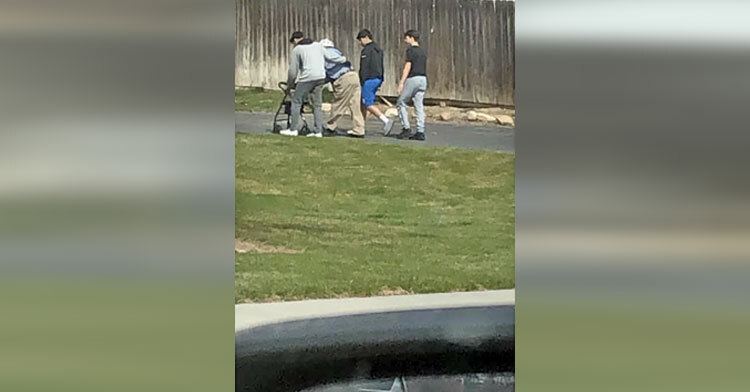 As he lay on the sidewalk trying to get up, Erika witnessed a welcome and refreshing sight: five young teens who’d been walking home from school spotted Jose on the ground and bolted to his side without hesitation. 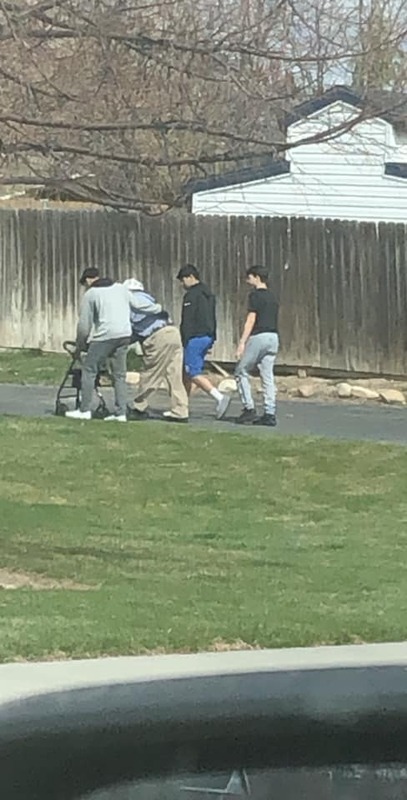 As Erika watched, teens Victor Ornelas, Isaac Hernandez, Diego Ramirez, Devan Ornelas, and Josh Sorg worked together to help Jose up off the sidewalk. She began to snap a series of photos as the boys carefully guided Jose down the street towards his home. 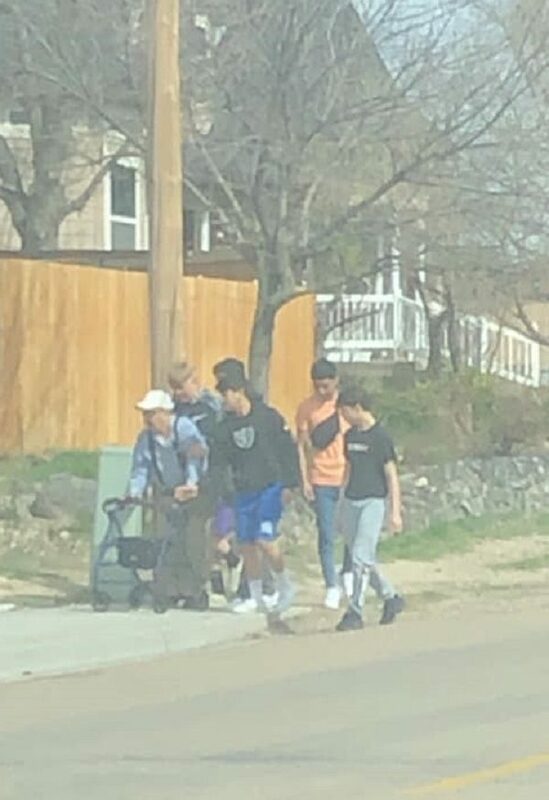 All five boys helped support Jose as he made his way homeward, with one placing a hand firmly on the old man’s back to support him. Once at his door they took him inside and one of the boys fetched some rubbing alcohol and cleaned up the cut Jose had sustained in the fall. After he was cleaned up and safely settled in his home the kids left and continued with their day. They had no clue that they were about to become local heroes thanks to Erika’s hastily snapped pictures! 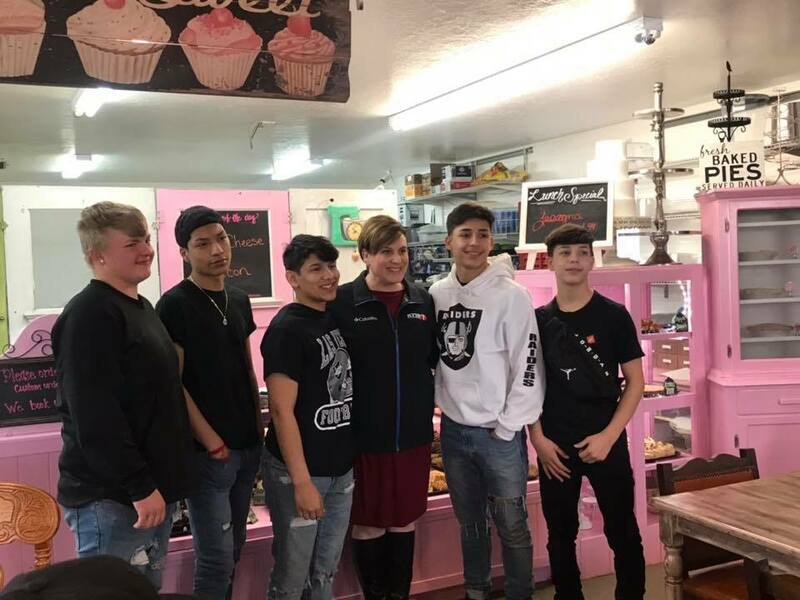 The post began making the rounds, and by the time the local news agencies came calling the boys had already gained a small amount of fame in their community. 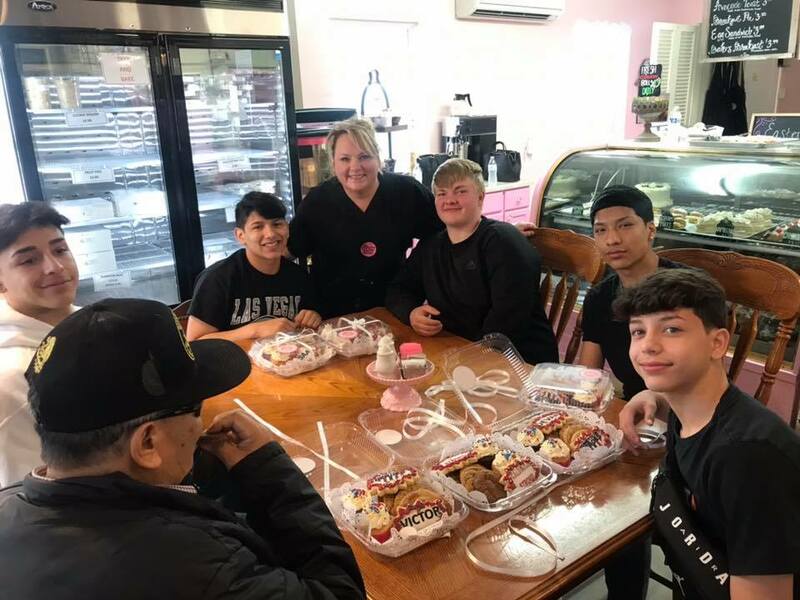 A local business named Sweet Spot Bakery saw what the kids had done and invited them to come in for some free treats as a reward. We sure hope this isn’t the only perk these kind young men will receive around town! This sort of take-charge attitude and willingness to help their fellow man should be encouraged and praised whenever we spot it. 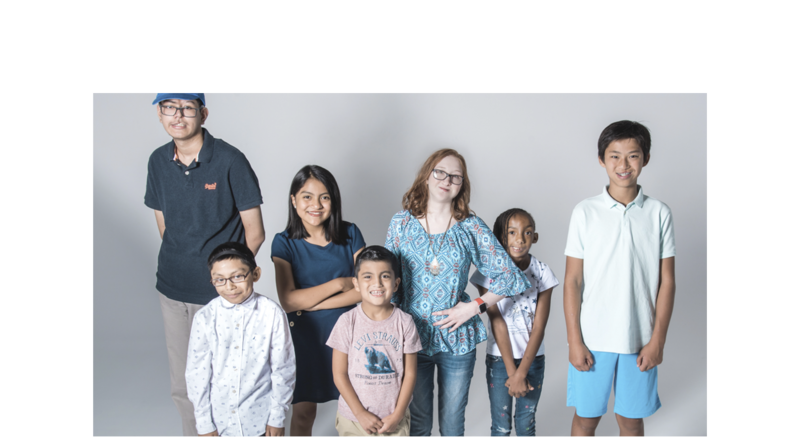 Remember this story next time you hear something negative about the younger generation; for every bad apple there are a dozen more wonderful kids and teenagers who already know what it means to be a part of a community. 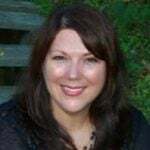 Watch the video below to learn more, and don’t forget to share!